With the shadow wrap all the work is done when creating the wrap – once you’re done, the shadow wrap dissolves into the shadows, and yay! gets ignored!! It’s easy to see, so you can tell where to stop and turn, and easy to work since you simply treat the shadow as, well, the inseparable shadow to its twin stitch, that is you ignore it. 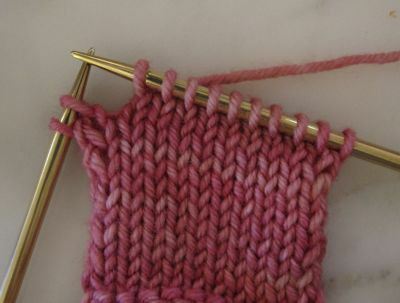 The first step is to knit to the turning stitch. 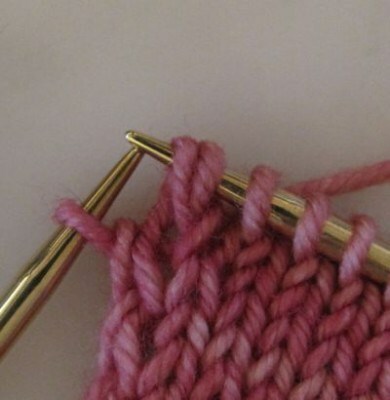 Before going any further, let’s just take a moment to identify the relevant stitches. We’ll be creating the ‘shadow’ wraps from the the mama stitches – blue in the photo below. The daughter stitch is the shadow’s ‘twin’ stitch, from the same mama stitch as the shadow. 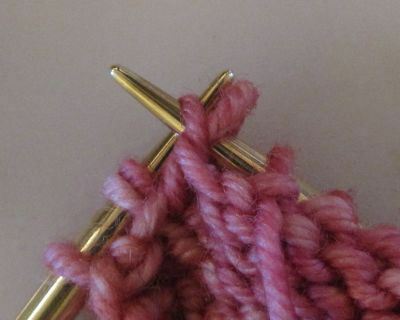 Pick up the mama stitch with your right needle. 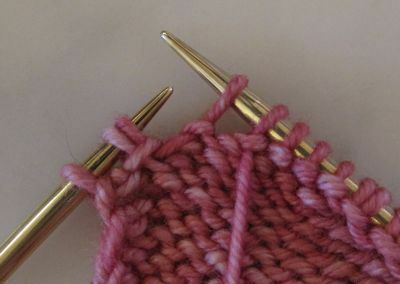 Place the mama stitch on your left needle to the right of the daughter stitch (ie closest to the tip of the left needle), being careful not to twist it. 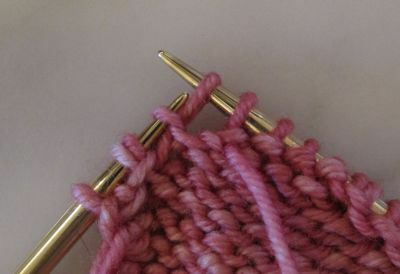 Knit into the mama stitch (only the mama stitch, not the daughter one) knitwise – be careful not to knit into the back loop by accident. The shadow wrap is now on your right needle; the mama and her daughter still on the left needle. Drop the mama stitch from the left needle. 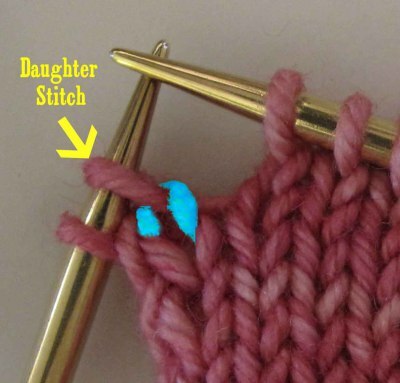 The shadow wrap (on the right needle) and the daughter stitch (on the left needle) both come from the same mama stitch (hence the term ‘twinned’ stitches). Slip the daughter stitch from the left needle to the right needle. Now you have the shadow and the daughter stitch sitting prettily together – “twinned” stitches that should be treated as one single stitch – joined at the hip, as it were. Turn the work. Slip the twinned stitch. 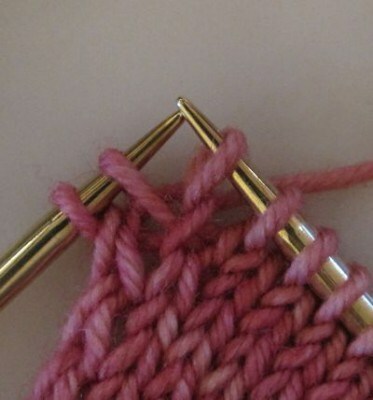 Remember these are treated as one single stitch, just like a person and their shadow are one and can’t be separated. The twinned stitches are easy to see – helping to identify exactly where to stop to create a new shadow wrap. 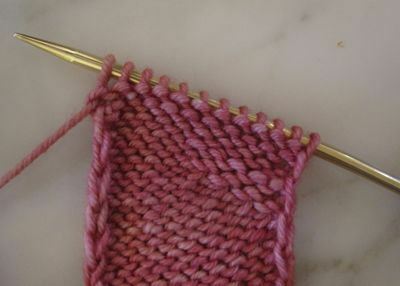 Creating a shadow wrap on the purl side is even easier. 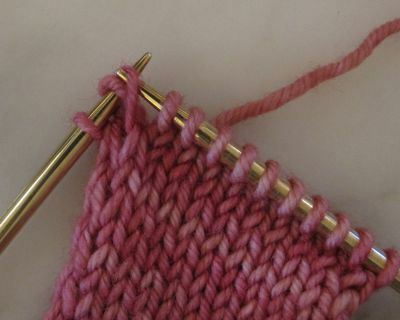 Purl to the turning stitch, and slip it to the right needle. 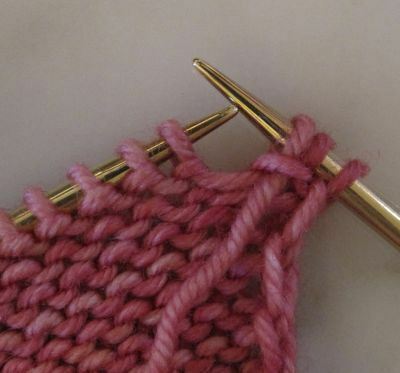 This is the stitch which will become twinned with a shadow wrap. 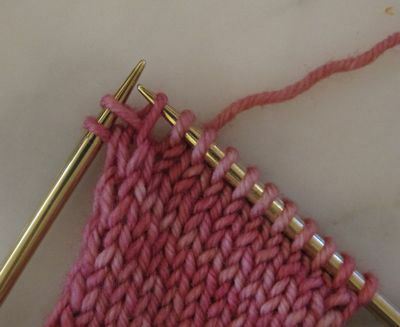 With the left needle, pick up the head of the mama stitch. 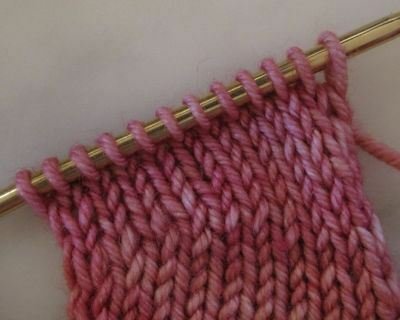 And purl it. 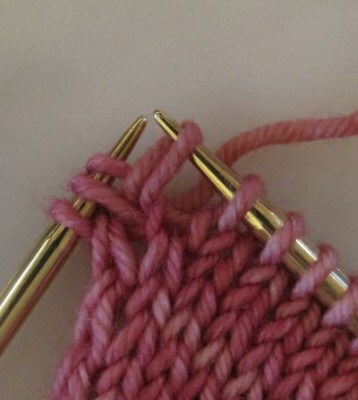 No need to move it from needle to needle, just go ahead and purl that mama. And voila! Shadow wrap made, twin stitch created. All done. Yay! 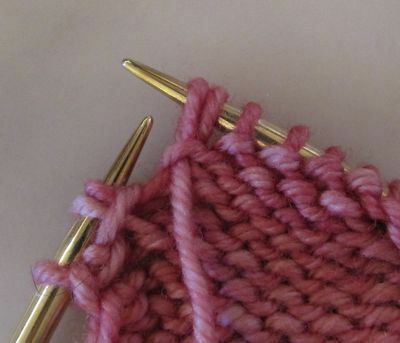 When you turn the work to the knit side, slip the twinned stitch, and work the rest of the row as normal. Now, when you come back to working the twin stitches – remember what I said about just letting the shadow dissolve into the, er, shadows? 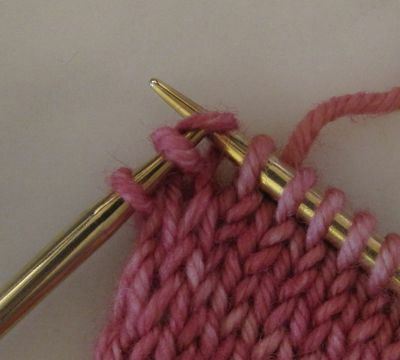 And treating the twinned stitches as one single stitch? It means when you come to working them just knit them when you come to them on the knit side, and purl them on the purl side. No need for extra work there. I totally love this method – it’s easy. It’s clean. It looks nice when it’s finished. The back is smooth. I can keep track of where my wraps are since the twinned stitches are so easily identifiable. And best of all, when I’m motoring back after making all those wraps, I don’t have to do anything special at all. For me, slothfulness is the mother of invention (necessity – pah!). The less work, the better!